All orders are taken and assigned, to a production coordinator, which is then given to a member of the production team. Once the correct communication channels are established it is easier to follow the product through each phase until it is completed. It stands to reason that when the “middle man’ or distributor is eliminated from the sales cycle, that cost savings can be achieved. But this can not be an excuse to take any short cuts in the production cycle. Many times, and when dealing with the manufacturer he may find that several different piece of printing equipment and technologies can be utilized, and it is always a priority to select the best and most cost effective for the client. But, however, a company such as Graphic Impact does maintain alliance with companies throughout the United States so that we can explore all options. No shipping cost, faster completion dates, and on-time deliveries are all benefits in dealing directly with the manufacturer. 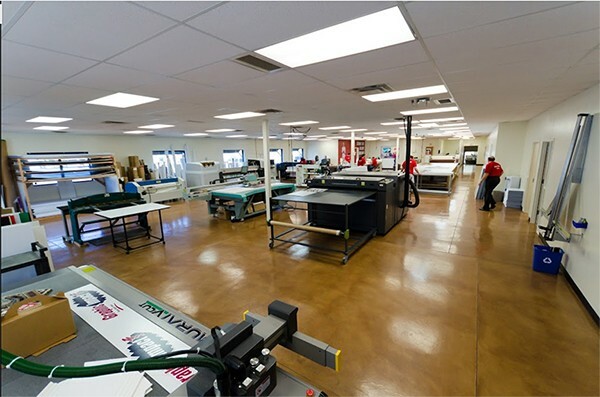 Although there can be significant expense involved in the right printing equipment and the right technology and a state of the art in house production facility, it is offset by the ability of the company to produce a higher quality product with faster delivery times and better communication with its clients.